I'd be delighted to add yours! "Simon and I wanted to send a massive thank you to you for all your help with our wedding. We believe that the whole event was held together because of you and we can’t thank you enough. You were so professional. Simon also is so grateful that you took the time to review his speech. All the best for your future events." "And to Michael in particular with his wonderful MC'ing and making sure everything ran so smoothly. We know it helped relieve Mum and Dad of a lot of stress on the day, so we are very grateful." "Just wanted to say thank you so much for everything you did for us last weekend and in the run up to the wedding to make sure everything ran so smoothly. It was truly the best night of our lives." "We just wanted to say a massive thank you for all your help and support on our wedding day. 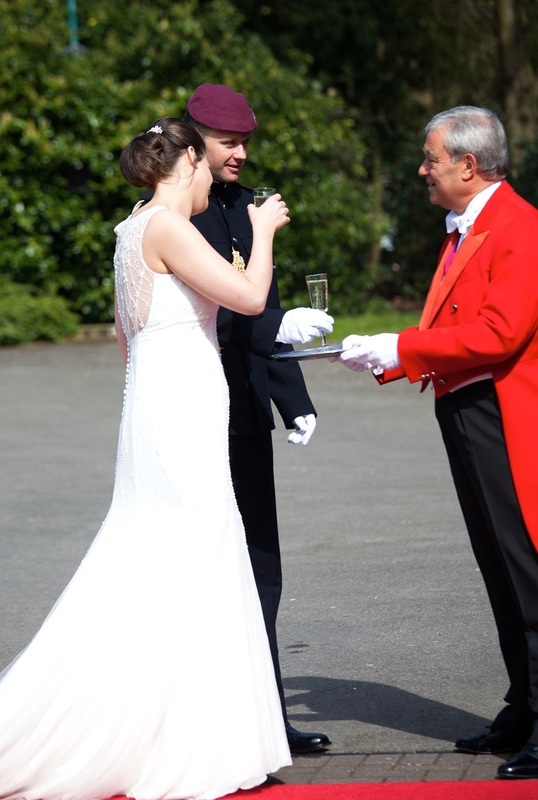 We really enjoyed having you as our Toastmaster and thank you for everything you co-ordinated. We had the most wonderful day and loved every second." "I just wanted to say a really massive ‘Thank you’ for all your help both before and during the wedding on Sunday. I can’t begin to tell you what a difference your presence made. My stress levels were consequently significantly lower than I had anticipated! Apart from Judith and David, Rachel and myself, both Mandy and Brian were so impressed with you. It was such a relief to know that you were going to do a great job looking after us and ensuring that we all enjoyed the experience." "Michael, you did the most amazing job at the wedding. It was so lovely for the family to have someone who is so professional and calm on such a highly charged and emotional day. Everyone commented on how well you ran the evening." "We would just like to say a huge thank you to you for all that you did on our wedding day. The day ran so smoothly and we had lots of great feedback from lots of guests." "We cannot even begin to thank you enough. You we’re absolutely incredible and really kept everything together. You just went above and beyond and we are grateful! Just the most perfect day that we will never forget. Thank you for being part of it." "Thank you so much for your amazing hosting yesterday. You were truly incredible and made the day extra special. We had an amazing time. You were amazing and we thank you so much for everything. You truly are incredible at your job." "You were fantastic yesterday - as always. I really like your style." "Thank you so much for yesterday, you did a grand job and helped the day run so smoothly. It was so nice to relax knowing you had everything in hand." "Thank you Michael. Well done today! Great job, pleasantly delivered and an all-round lovely event...Just a note to commend you on an outstanding job yesterday...I really must take this opportunity to congratulate you most sincerely on the really excellent job you did..."
"Michael from the bottom of our hearts thank you so much. You absolutely smashed it for us and helped make the day even more special!" "Great working with you. You are very good at your job, much appreciated!" "Thank you for helping give Emily and Eliot an amazing big day. From the moment you calmly guided us in our pre-wedding planning on a sunny day in our garden to the end of the wedding day, everyone commented on how much they enjoyed the day. Having you as Toastmaster really made a difference - a big difference. You filled us with confidence and made so many helpful suggestions. Thank you so much"
"We have been delighted to have Michael Myers to be the Toastmaster at the Young Enterprise North London Company Programme Final for the last few years. Michael is always very well prepared ahead of the event and highly engaging in his delivery and captures the attention of the audience. Michael’s pace and tone is tailored to our event and he has great energy which makes our event a success year after year. We look forward to working with Michael again and would recommend his services to others. Thank you once again for your services." "Michael you were fantastic on the day and guided us throughout. A big thanks too for your speech editing. On the day it wouldn't have been the same without you." "It was a real pleasure to meet you at Laura Ashley The Manor in Elstree on the occasion of the Wedding of my daughter Emma to Philip. I cannot thank you enough for the manner in which you conducted the proceedings for the entire day. You added so much to everyone's enjoyment of the day, particularly the Bride and Bridegroom. Everything went very smoothly under your guidance and my wife Pat and I cannot thank you enough." 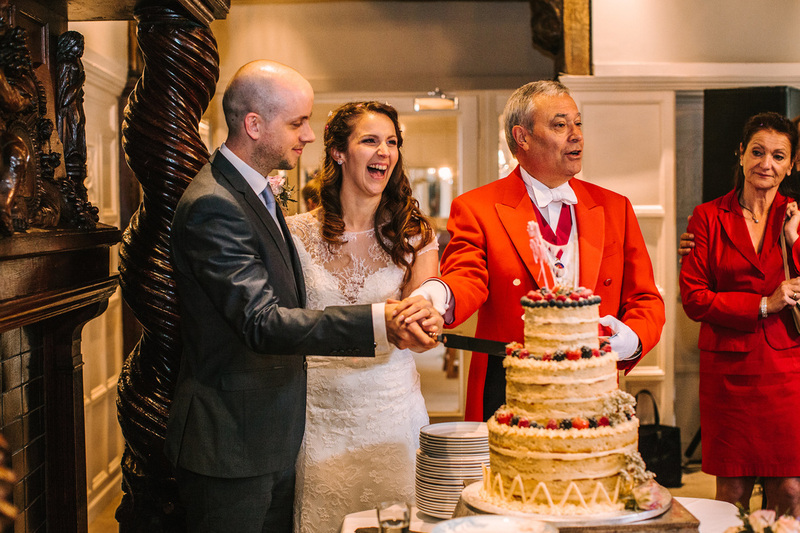 "Michael had an overwhelmingly positive influence on our wedding. He knew where every member of the wedding party and the suppliers were supposed to be at any given time and helped organised us all in a calm manner that ensured everyone enjoyed the day without any panic whilst keeping the event to its scheduled timing. Michael also interacted well with our guests and made various announcements with crystal clear speech. He is a lovely man who was a pleasure to work with, going above and beyond his duties in order to make our vision for the day became a reality, and we could not recommend Michael more highly." “Michael presided over the final celebration event of the Young Enterprise Company Programme for the North London area, which is the culmination of the years work for many of our participants. 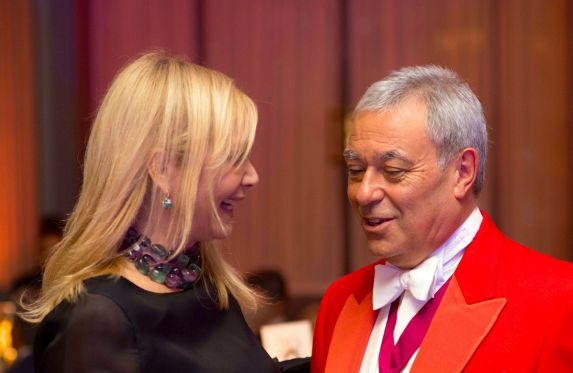 Michael was professional and unflappable throughout despite being in front of an audience containing two mayors, a Top 100 UK CEO and senior individuals from North London’s business community. He arrived prepared but was flexible enough to take our comments and changes into consideration when delivering his remarks. “Just a note to say thank you for everything on Sunday. “Thank you so much for all of your service and support for our wedding. From the start you were a delight to work with and provided us the confidence and security we were looking for. On the day you were brilliant and ran our wedding like clockwork. We are truly very grateful that you went above and beyond. Our friends have asked about you for their future weddings and we'll be sure to pass on the message that you're the best out there! "Hi Michael just wanted to thank you for doing such an impressive job at our wedding. You made the day run really smooth."